We LOVE when our readers share their DIY projects! 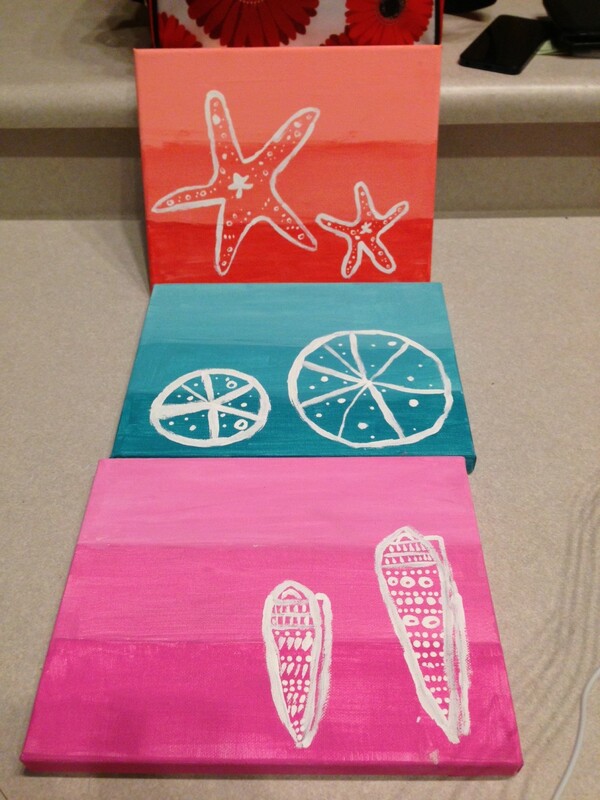 Our 10-year old friend Mya shared these photos of her ombre canvas beachy wall art pieces. Please send us pictures of your Hawaiian Style Hale DIY projects, we’d love to share them here. 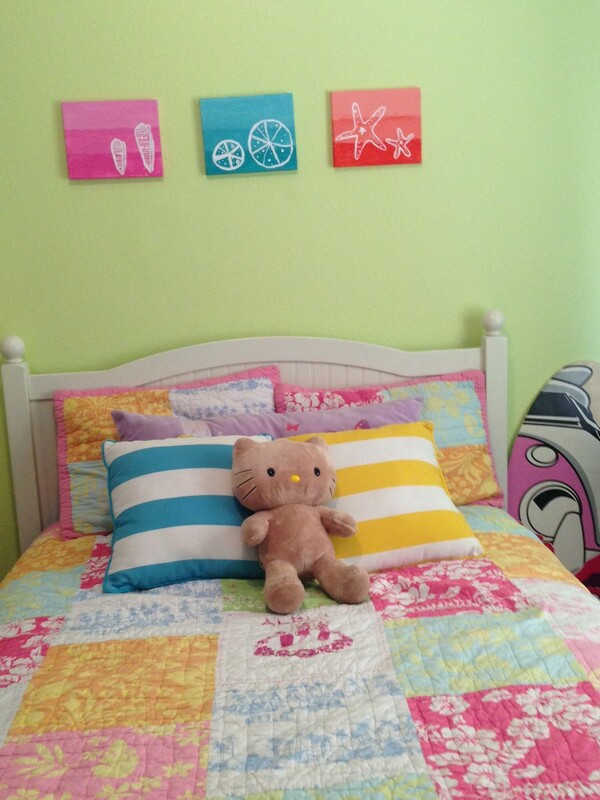 They look fabulous up in your new bedroom, great job Mya! You can find the link to the DIY tutorial here.